See the problem? If not, feel free to ask. …and that still didn’t end the game. 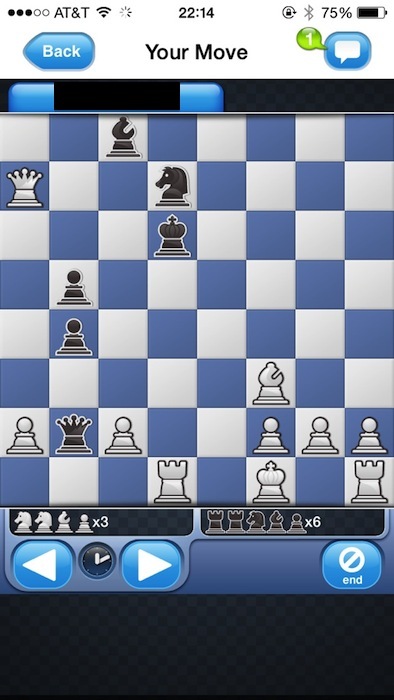 I hoped my opponent would be willing to have some fun with the situation and keep playing, but Black resigned. Oh well. There may never be a next time. ← World Cup Brazil 2014, Part One. What would have been really funny is if the app went on to allow him to win. I had Battle Chess on a PC many years ago. If was fun for a while but the novelty wore off. Now, if you could enter a Mortral Kombat-style battle mode when attempting to capture a piece, that might sell. Mortal Kobat Deception actually did that very thing. Chess play was normal until you tried to take an opponents piece. At which point, you entered battle-mode. To add some twist, your character’s health in battle varied depending on whether you were a pawn, knight, rook, etc. and attacker’s recieved a health bonus. 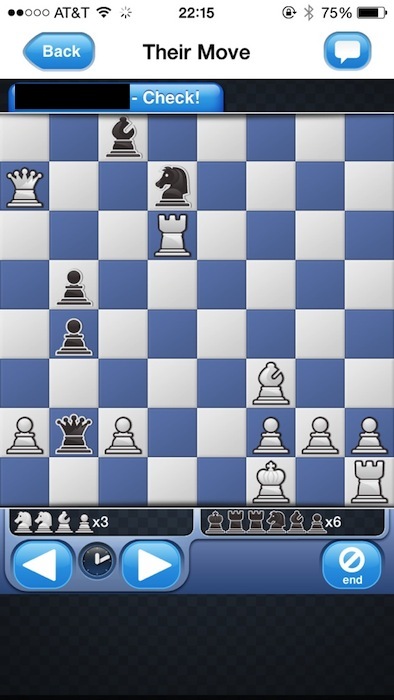 Just double checked my android and was able to download Chess with Friends. Looks like it may have happened June 14th. Excellent news. I’ll have to try it on my tablet. It even added his king to the captured pieces square. Amusing. Why would they even bother with a small king icon? That’s odd.